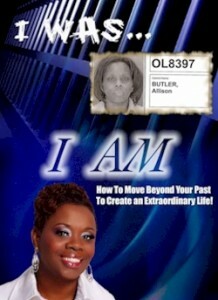 I Was...I Am is a true life story of one woman's triumph over the odds that seemed to be against her. Allison 'Tammy' Moore starts her life being put up for adoption by a mother too young to cope and a father who had never even mentioned the baby to his parents. She is placed into foster care, into a house that no child should ever have had to been raised in. She has a foster sibling who they are only ever allowed to call "It", they are encouraged to beat and manipulate one another, often left hungry, abused and emotionally strung, the foster mother is an obese, disgusting woman who favours and pits all her foster children against each other and the foster father is a weak minded and weak willed individual who works himself to death. Tammy is arrested for theft after many years of continuously getting "away with it". Stuck in an abusive marriage with two children, one of them having an unknown paternity, she devises a plan to embezzle money from the bank she works at. Enough to run away with her children; never to be heard from again. Except this time, those she steals from presses charges, she doesn't get to ride on her charm, or her luck, this time she has to pay the piper. While in jail, she searches into the recesses of her soul to find herself and allows God to enter and allows him to heal and help lead her in the proper direction. We read of her struggles and her reflections as she comes to terms with who she is and what she has become. And how by the Grace of God she manages to reach up and out of the depths of despair her life was heading. I wasn't very impressed with this book, I liked the courage of the author, and her tenacity to strive for betterment, even though the choices she made weren't always the correct ones. First, I had serious problems with the editing in the book, which I am sure, is of no fault of the authors, but it was a hindrance none-the-less. There was a point where two paragraphs were repeated within the book...word for word repeated. There were instances where sentences had the wrong word or words were doubled up and occurred way too frequently for it to be anything than someone not properly dissecting the book and put the polish on it that it so verily needs. I can see where the author wants to go with the story, but the lack of direction was disheartening and often discouraging. I also think it would be a more powerful story if more of the atrocities she had to endure were shared, I felt a certain lack of empathy with the author which I am unable to truly name. She appeared at times to be a "golden" child and her only lack was money and possessions, which she compensated for by stealing. However, I am thankful that the Lord was there for her when she felt she needed him and was able to pick up her pieces and begin the journey to put them back in proper place again! Ex-Inmate's Story of Triumph in 'I Was I Am...How to Move beyond Your Past to Create an Extraordinary Life' Throws Lifeline to Others Struggling with Obstacles to Success. One of the most difficult things for ex-offenders to accomplish when they are released from prison is finding employment and becoming a productive member of society. For many, the stigma of a criminal record is just too much to overcome. For others, like Allison, it is a matter of viewing obstacles as an opportunity. "I Was I Am...How to Move beyond Your Past to Create an Extraordinary Life", a book by motivational speaker, author and ex-inmate Allison Moore, provides an account of her prison experience as the catalyst for change and guidelines for those who struggle with being hindered by their past. Moore wrote, "I Was I Am...How to Move beyond Your Past to Create an Extraordinary Life",not just for individuals with a criminal record or who have been incarcerated, but for those who have past experiences that prevent them from living a full life. The book draws from her experiences in order to educate readers on the reality of the prison sentence, the lack of support systems and the perils of living a life unmanageable. Whether it is a physical prison experience or a prison in mental capacity, she shares her beliefs on how to become free.